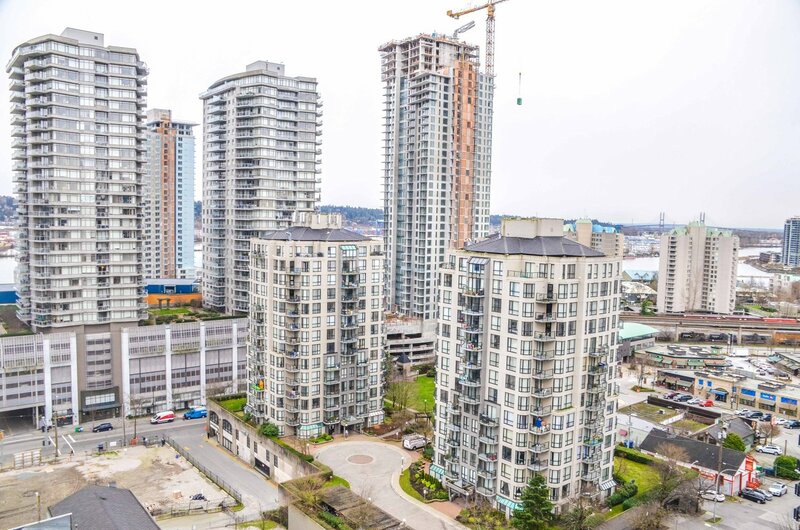 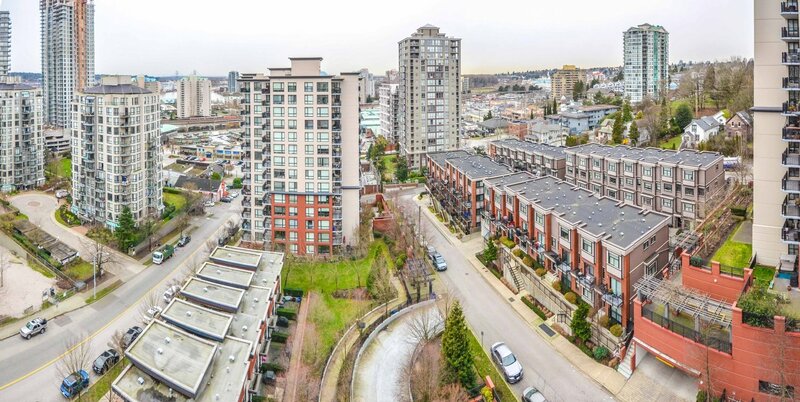 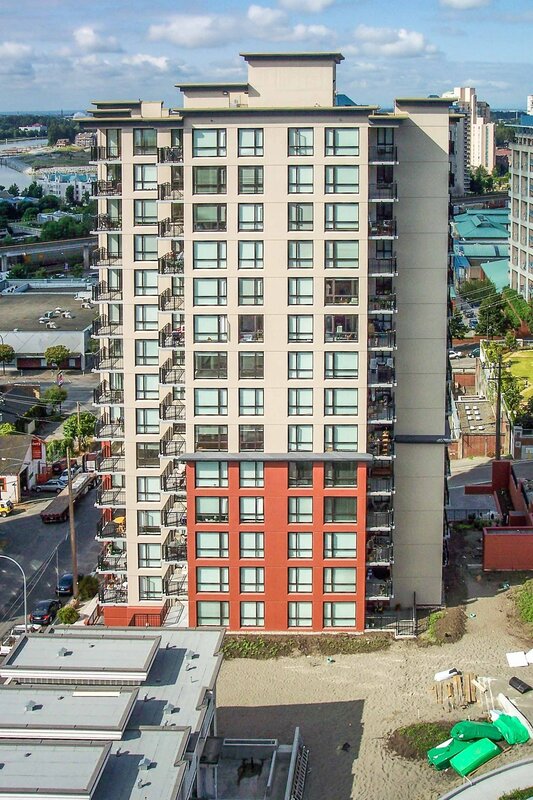 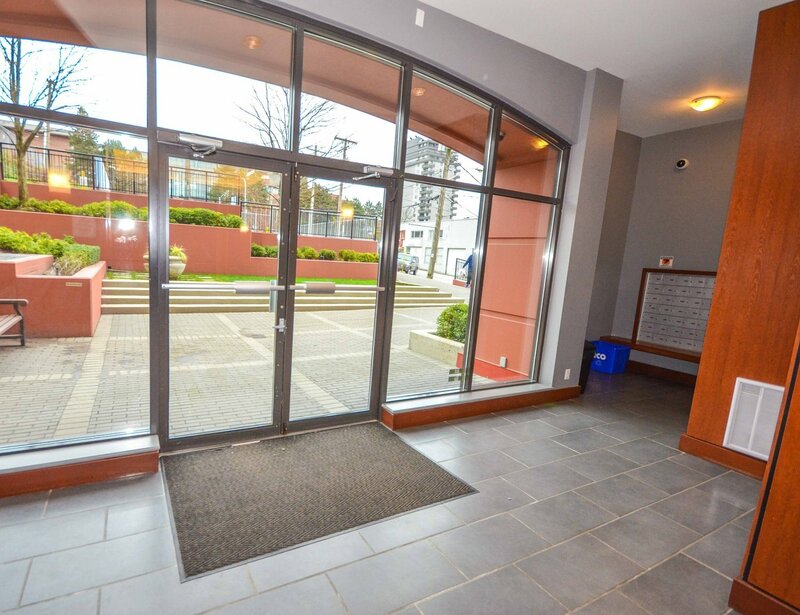 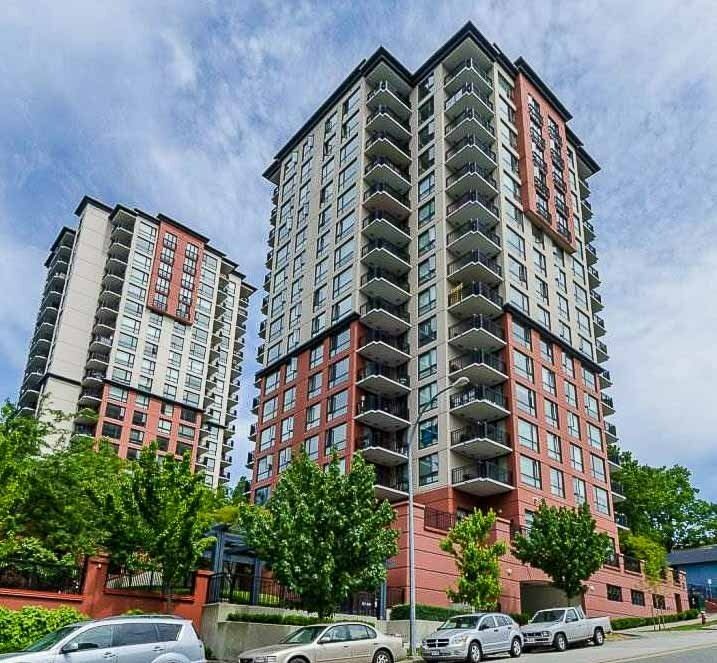 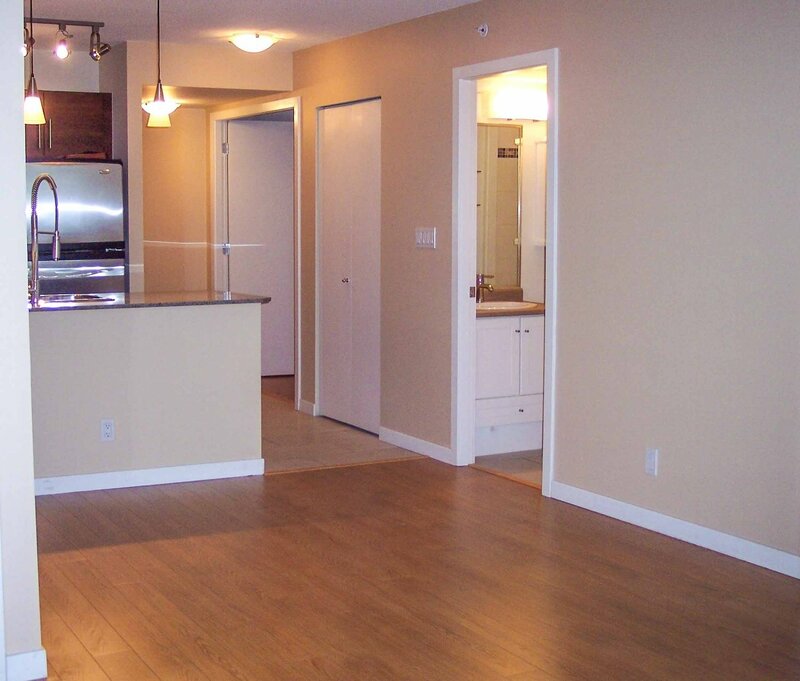 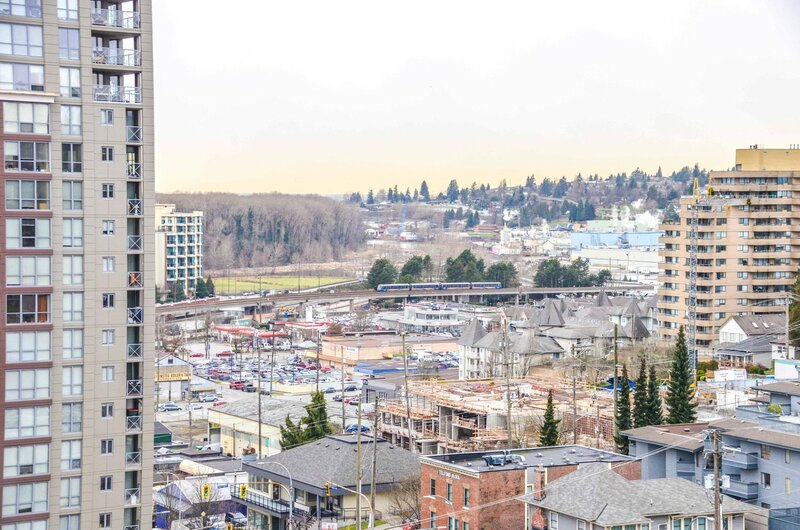 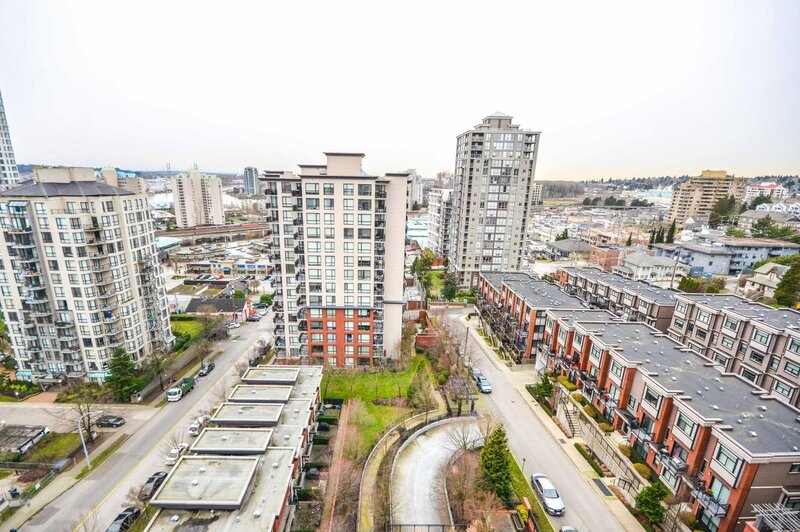 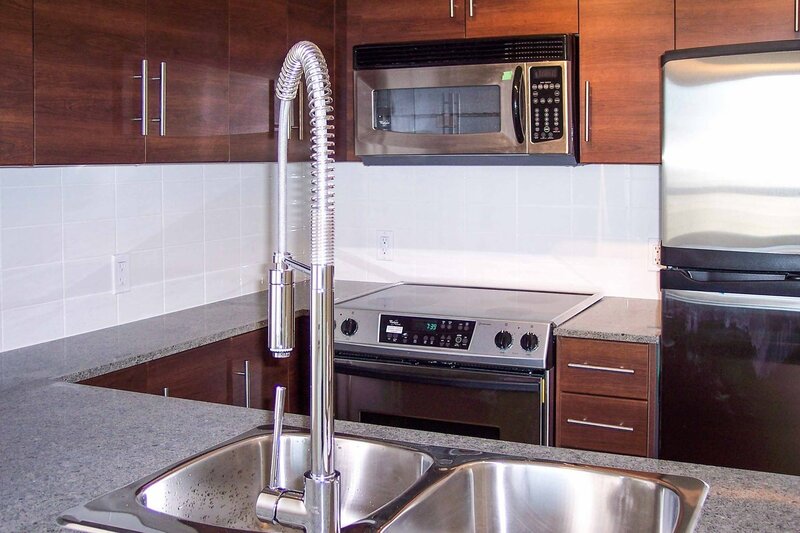 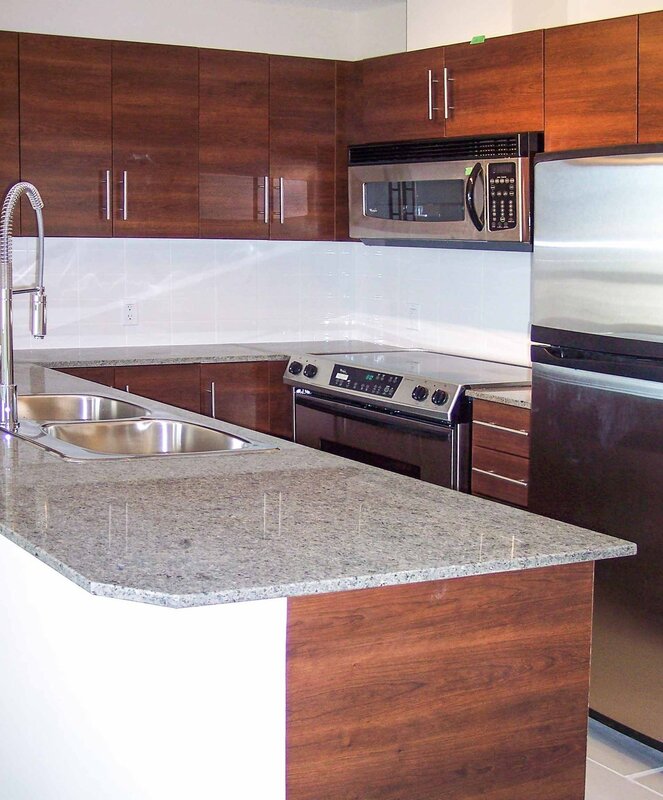 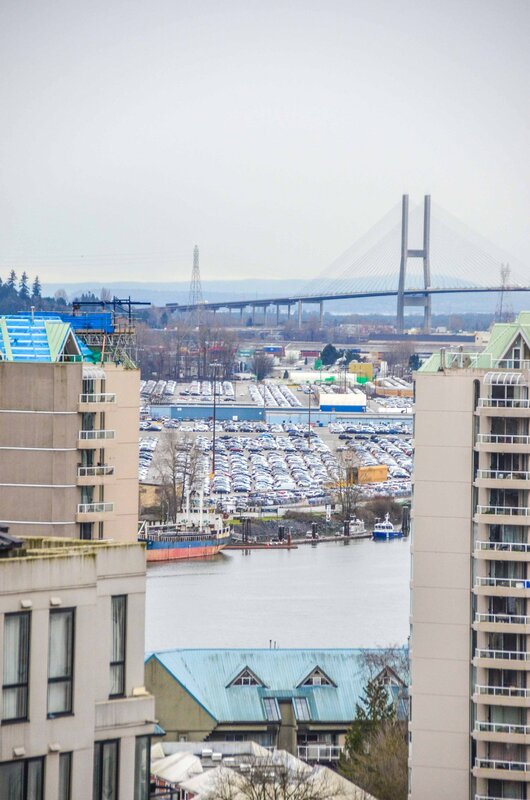 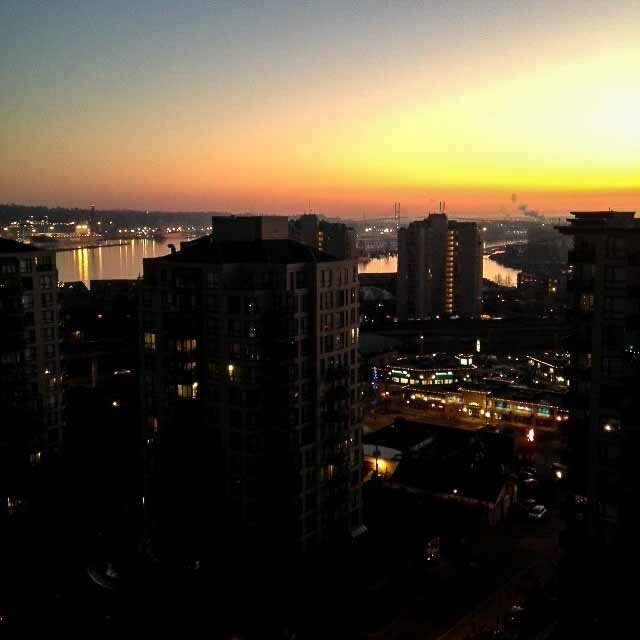 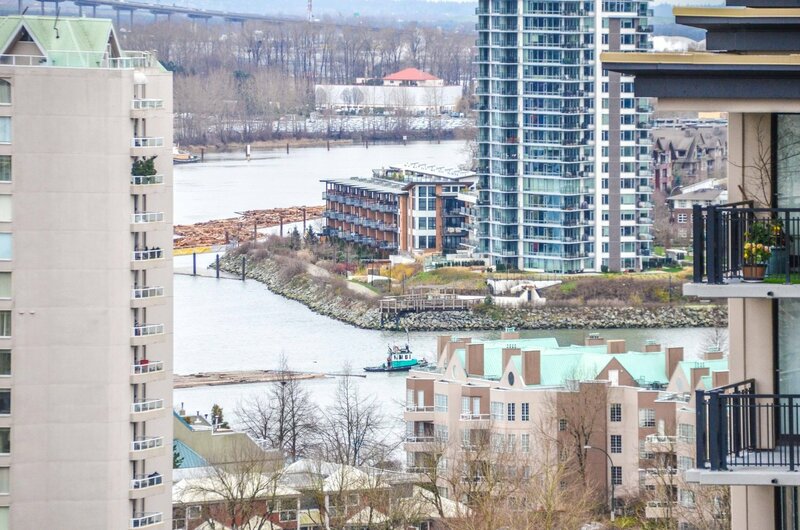 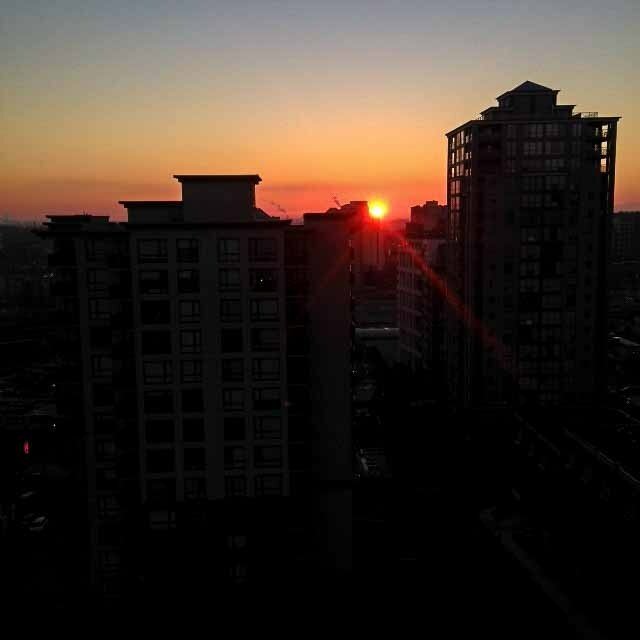 In heart of New West 2 blck frm SkyTrain & dwntwn core; 2 bdrm & den offer fantastic layout utilizing every sqft. 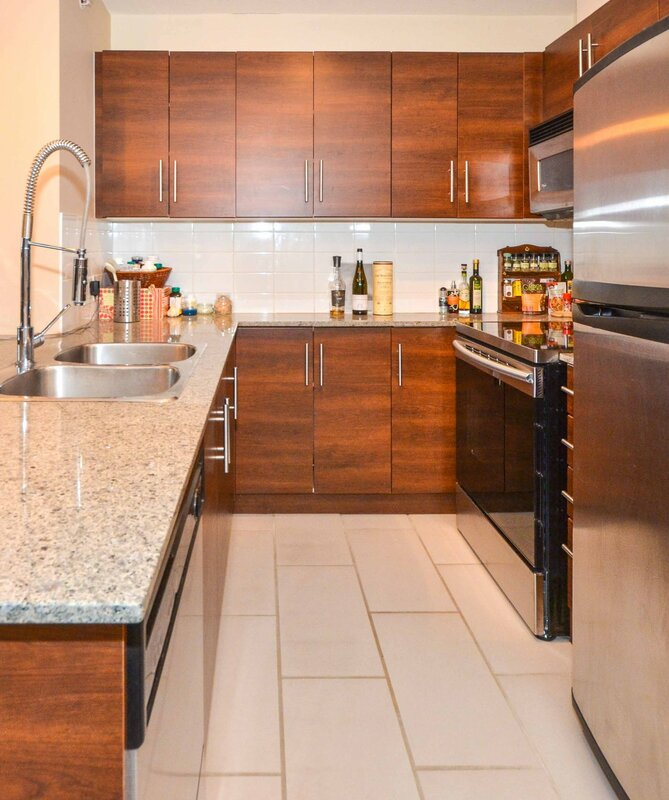 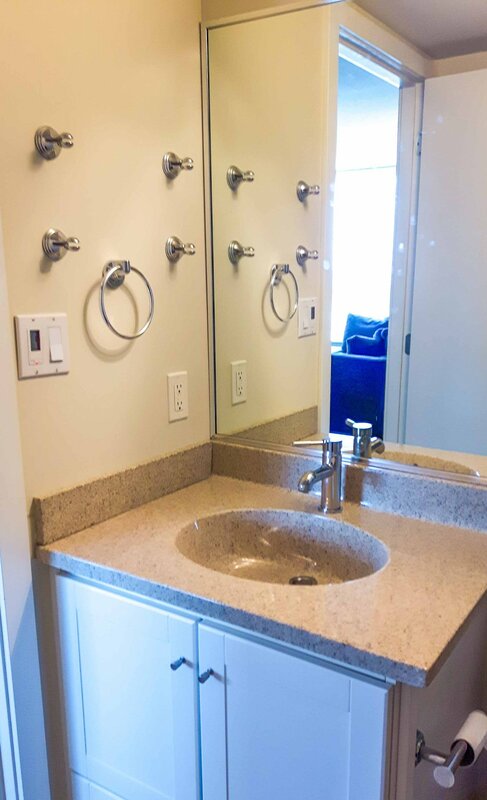 Kitch ft granite counter, stainless steel appl, subway tiling, builtin micro, tile bcksplsh, ample cupbrd spc, & eating bar w/ vintage accnt lightng; insuite laund in closet off kitch. 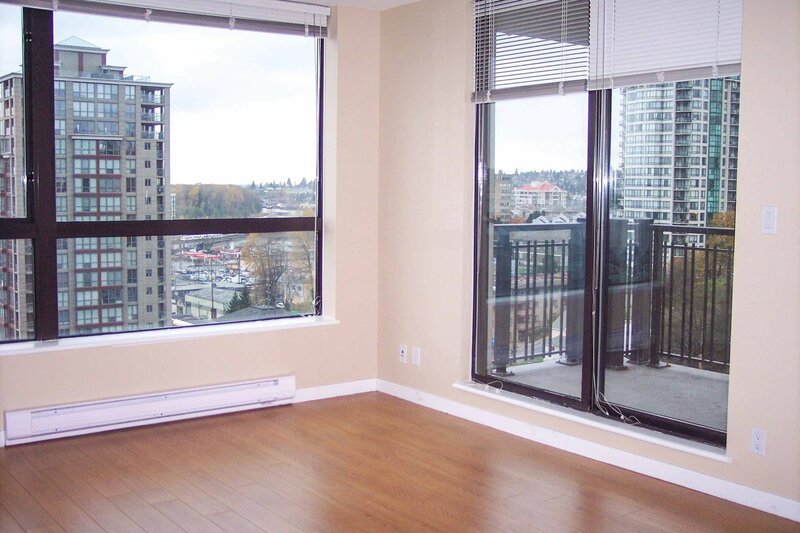 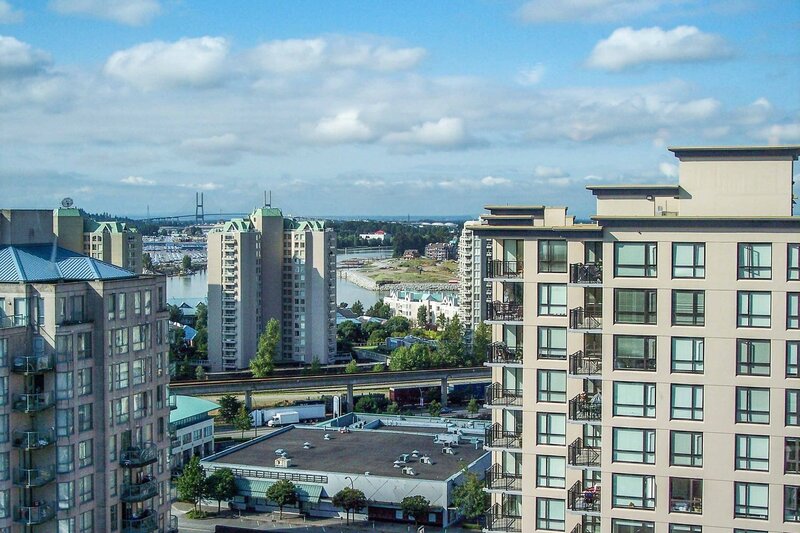 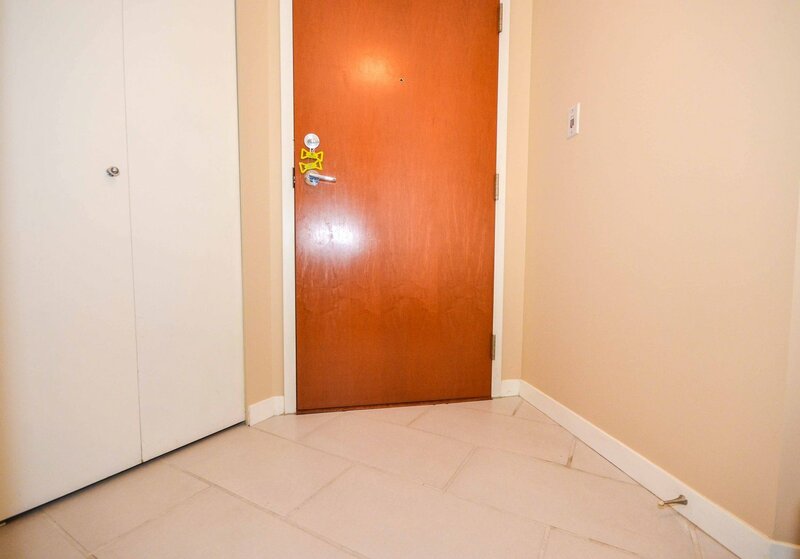 Laminate flr stretch thrgh homes open concept dinrm & into lvgrm w/ oversized window w/ water view to Alex Fraser. 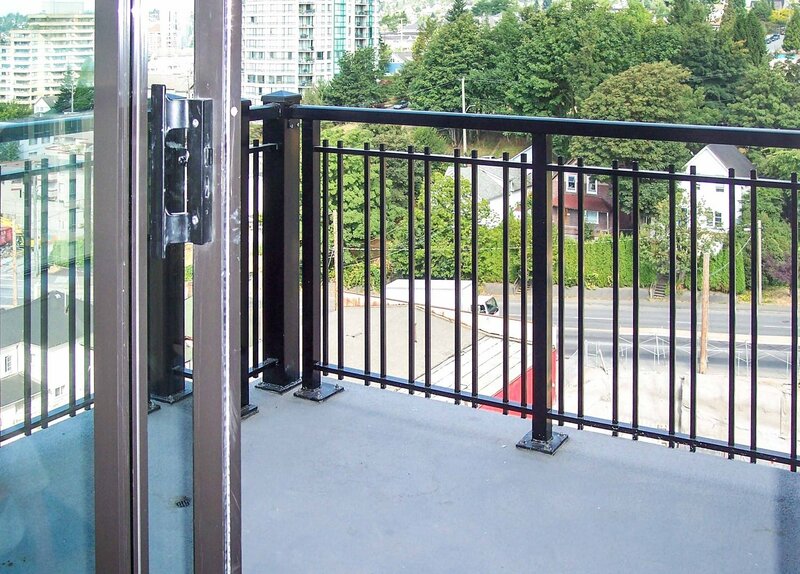 Slidng glass dr lrg covered dck w/ rm for BBQ / patio equip. 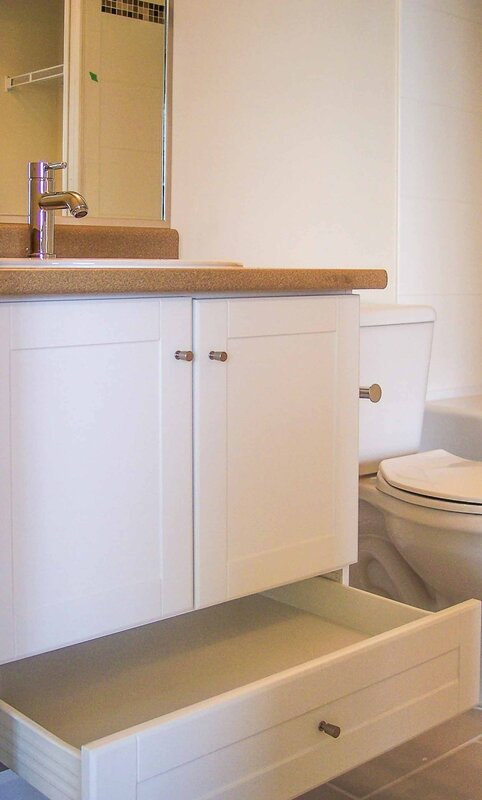 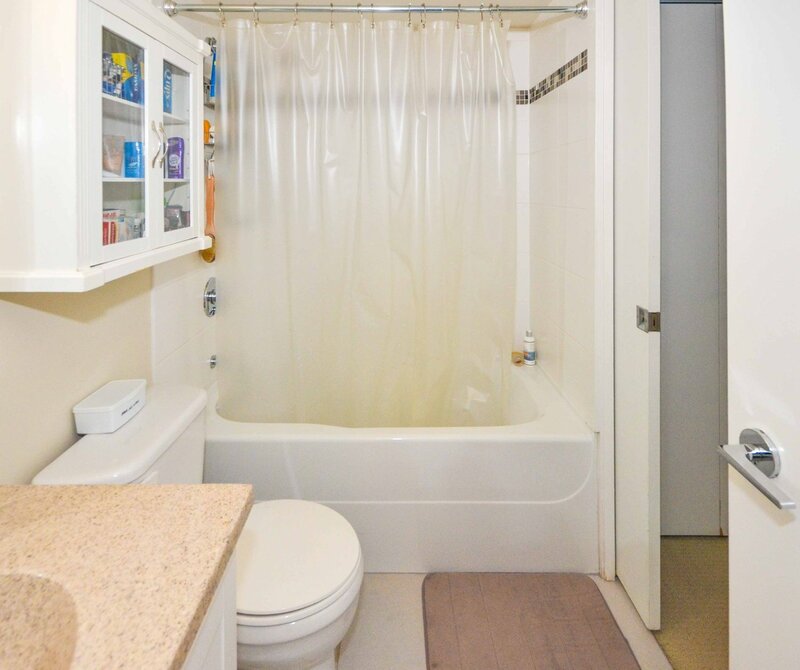 Mst bdrm includ generous wndw abundnce natural lght, 2 closet & 4 pc cheater ensuite w/ granite counter & tiled soaker tub. 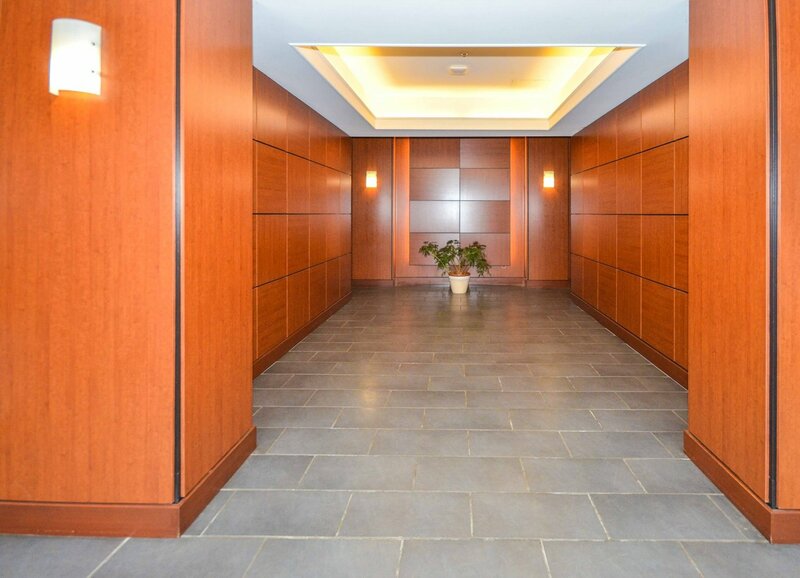 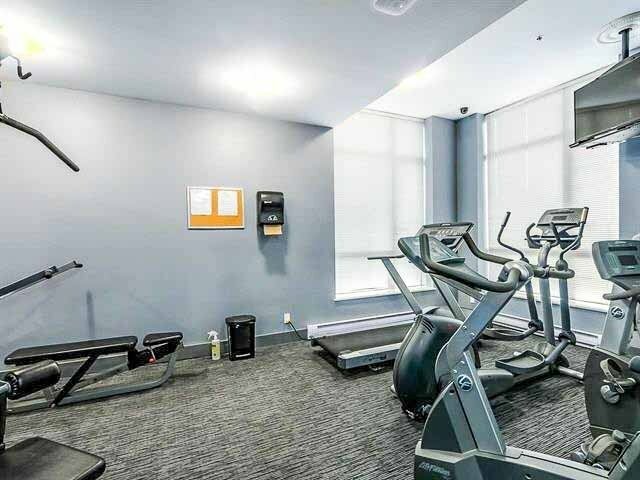 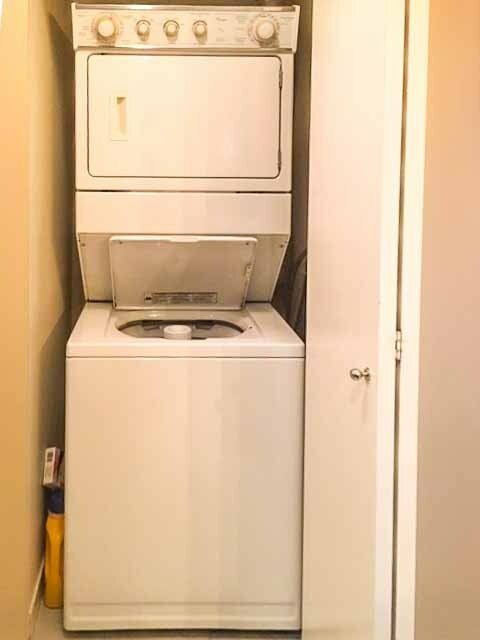 Den generous size, lrg office or 3rd bdrm; 2nd bdrm w/ considerable wndw to dck. 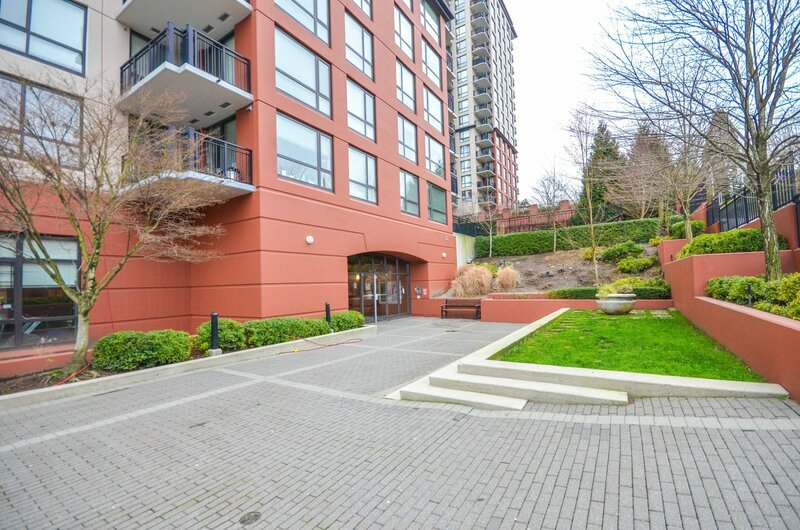 Bldng includ gym, playgrund, & gardn area w/ patios.